Instagram is a need social media sharing site giving you the ability to modify photos and add different color effects to them. However, with a great tool comes great responsibility and there are always those that over use a feature. Why blur a picture so bad you can’t even make out 90% of what the picture is about. 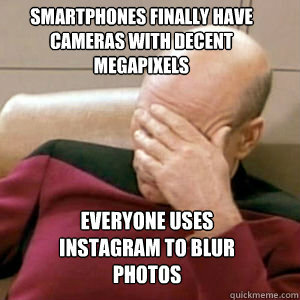 For that I issue an Instagram facepalm.